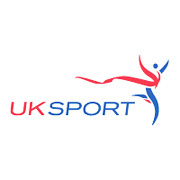 UK Sport was set up by Royal Charter in 1996 and liaises closely with the home country Sports Councils of Sport England, Sport Scotland, Sports Council for Wales, and Sports Council for Northern Ireland. UK Sport works tirelessly to ensure that the UK’s top athletes have every opportunity to achieve their best success on a global basis. UK Sport reports to the Government ‘Department for Culture, Media and Sport’, and is responsible for the distribution of National Lottery and public investment funds to these elite players and organisations. UK Sport is also responsible for bringing world class sporting events to this country, and works with many different bodies to achieve this. As well as having an important role in international sporting relationships, UK Sport is actively involved in such important issues connected with anti-doping in sport. Funding amounts for the Olympic and Paralympic Games in London 2012 have already been agreed, and the regularly updated website carries up to the minute news reports on anything to do with sport at the highest level. UK Sport also has an international programme in place to help developing countries organise structures and investments in their own sports programmes.